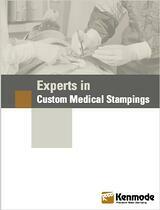 Metal Stamping Resources -- All in One Place! Learn how one auto parts supplier reduced piece price from $1.30 to $.61 while another saved 30% on part cost by converting to metal stamping. Metal stamped parts may be a small component of a larger product but they can have a significant impact on your bottom line. How? 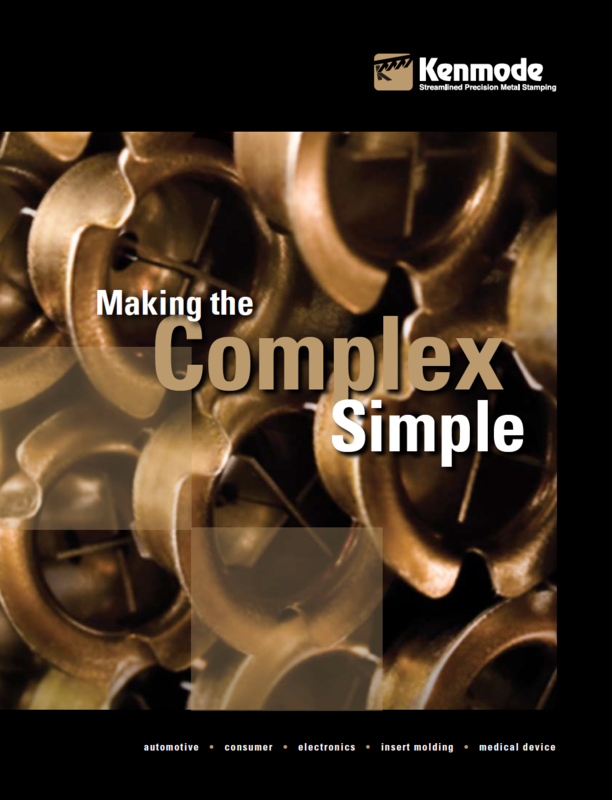 Just ask yourself a few simple questions to learn how to reduce your product costs, cut production time, and extend product life by better understanding the metal stamping process. 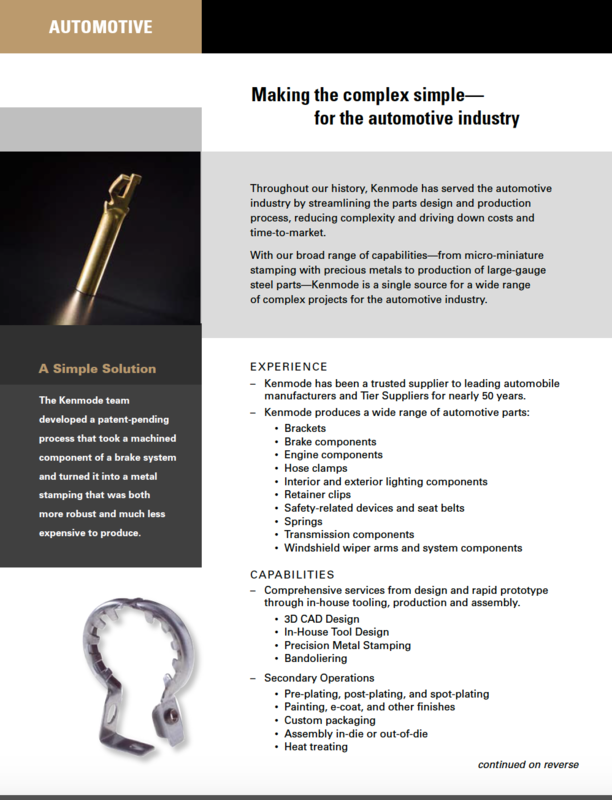 Kenmode has more than 50 years of metal stamping manufacturing experience using a variety of materials, press operations, and manufacturing services. Our capabilities make us uniquely qualified to ensure metal stamped components run smoothly from start to finish. As part of the Design for Manufacturability (DFM) process, Kenmode conducts simulations to provide you with data and options to ensure that each metal stamping is designed for ease of manufacture and reliability. By using Design for Manufacturability techniques you can reduce costs, eliminate defects, and increase efficiencies in the metal stamping process. 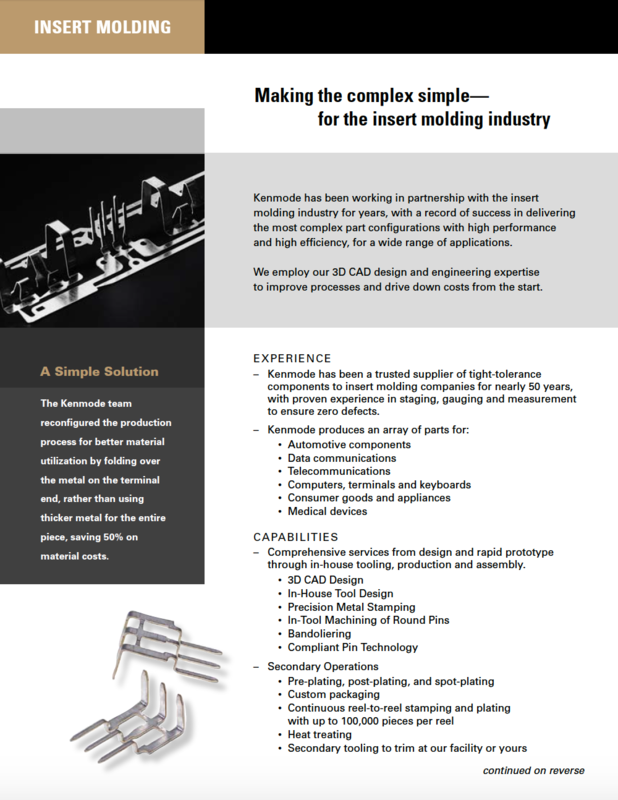 Kenmode leverages Rapid Prototyping to test and analyze small quantities of stampings before investing in full production. Using simulation software, Kenmode is able to identify and correct potential weaknesses prior to production, saving development costs and time to market. Kenmode’s Design Review Process reduces issues by evaluating the technical application of your metal stamped part prior to production. We bring together experts from our quality, engineering, tooling, and production teams to review your prints and the production parameters so there are no surprises. 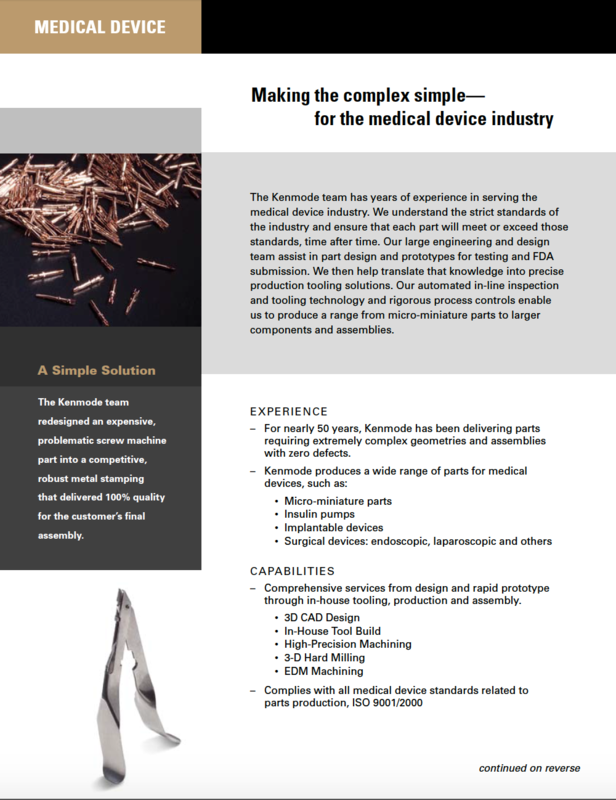 Kenmode's experienced metal stamping team designs and builds tools in-house, using the latest technology to develop highly complex, high-precision tools that last the life of your program. We employ the latest technology available in the metal stamping industry throughout our design and production process including 3D design, robotics, in-die sensors and video inspection systems. Kenmode incorporates manual and automated metal stamping quality controls into every phase of a project and meets stringent global and industry standards for quality. Kenmode's preventative metal stamping tool maintenance program reduces down time and improves tooling longevity. Kenmode maintains your metal stamping tooling for the life of the program, keeping it in “ready to run” condition. 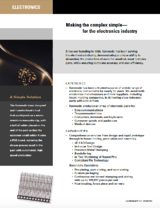 Combining your metal stamping and assembly needs can reduce costs and time to market. In addition to manufacturing precision metal stamped components, Kenmode offers manual and automated metal stamping assembly services as well as in-die assemblies. 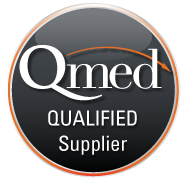 Kenmode’s uncompromising commitment to quality runs throughout the organization. Our goal is to achieve zero defects on every metal stamping project, made possible through a combination of advanced technology, mistake-proof processes, company-wide quality system, and ISO certifications.